She reached behind her to her bookshelf, which held about a dozen blue bottles of something called Real Water, which is not stripped of “valuable electrons,” which supposedly creates free radicals something something from the body’s cells. I personally never seen it as a problem with my patients, but the only people I know who are taking like 20 grams of fish oil are in head trauma recovery programs. People say, "Oh, you should worry about bleeding or bruising." I haven't seen that as a significant problem. Booms, busts and bitumen The economic implications of Canadian oilsands development Published Nov. 13, 2013 This report, jointly published by Equiterre and the Pembina Institute, examines how the rapid pace of oilsands development is creating economic risks and regional disparities that could have long-term implications for Canada's economic prosperity. The report also provides pragmatic recommendations to address these concerns, such as improving the management of one-time resource wealth and eliminating preferential tax treatment for the oil and gas sector. This is the institute's major 2013 report on oil sands development, with recommendations to address concerns about the environment, the economy, and tax implications. Our Approach Leading the transition to a clean energy future is no small task, and it requires advancing solutions to today’s energy challenges from various angles. The Pembina Institute has spent close to three decades working to reduce the environmental impacts of Canada’s energy production and use in several key areas: driving down energy demand by encouraging energy efficiency and transportation powered with cleaner energy sources; promoting pragmatic policy approaches for governments to avoid dangerous climate change, such as increasing the amount of renewable energy plugged into our electricity grids; and — recognizing that the transition to clean energy will include fossil fuels for some time — advocating for responsible development of Canada’s oilsands and shale gas resources. Interesting mix of goals for the Pembina Institute. 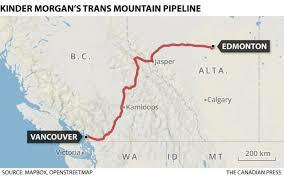 It would be interesting to see how they weight each approach - what kind of connections do they have to oil sands development? Interesting list of community connections here. I wonder how many actual links to these organizations they have, or if this is simply a link list. The Oil Sands Community Alliance (OSCA) has the mandate to pursue innovative solutions to build thriving communities and enable the responsible growth of Canada’s oil sands. The OSCA uses a collaborative approach that facilitates engagement, builds relationships, and creates measureable socio-economic benefits. Our name emphasizes a broader interest and a longer-term approach to thinking about socio-economic impacts on the community. Through our association, resource developers partner with local, provincial or federal government agencies, communities, and other industries to address mutual issues. OSCA’s structure encourages a more strategic use of funds and activities through a more highly co-ordinated approach across operations and geographic regions to address issues. We know that partnerships are the best way to facilitate local capacity building, mobilize resources more quickly, leverage investment and co-ordinate multiple activities to respond to complex issues. This OSCA identifies issues from the perspective of those potentially impacted by projects; predict and anticipate change; and develop strategies to proactively respond to the consequences of development. The advantages of this approach are significant: Identify issues early for better planning of social and physical infrastructure; Inform and involve internal and external stakeholders and assist in building trust and mutually beneficial outcomes; Improve the quality of life of employees and enhance the attraction and retention of skilled workers; Increase capacity of community organizations, by partnering and implementing innovative approaches; and Better meet community principles and standards. The OSCA is focused on four core areas: aboriginal, community well-being, infrastructure and workforce. Within these committees, key issues will be prioritized through baseline research and stakeholder consultation. None of this really addresses WHO they are, and what kind of activities they're working on. Industry conference for water treatment and re-use in oil sands development. Interestingly, site includes a list of suggested occupations to attend the conference. Our goal is to advance responsible oilsands development, which we define as: capping the impacts of oilsands development within the limits of what science shows the ecosystem can support; shrinking the environmental footprint of oilsands development for every barrel produced; and ensuring a meaningful portion of the benefits of oilsands development are used to support Canada's transition to a clean energy future. Goals of the organization, with regards to the oilsands. Interestingly, they are not anti-oil sands, but promoting responsible development. Pembina has a highly-visible section for blog posts on its main page. Contributors are mainly directors and other staff members. Representation for Canadian oil drilling contractors. Provides services for works in oil industries, as well as major oil companies. Industries usually measure economic impact by approximating a dollar value to represent their purchasing power.The oil and gas industry measures economic impact by counting active rigs. A drilling rig requires many oilfield support services to drill a well. And after the well is complete, other oilfield services go to work to bring the well into production and to maintain it. One of the primary activities of the Canadian Association of Oilwell Drilling Contractors seems to be in counting oil rigs, a a measure of economic impact. This is an American organization with publications and opinion pieces on the Aberta Keystone XL Pipeline and other oil sands development. Trade magazine on Alberta oil industry. Articles have named authors. Alberta Geological Survey information page on the Alberta Oil Sands. What’s the Problem with the Tar Sands? No information about who is writing these articles. Sadly, the crawl did not capture the "About" page, and this website no longer exists. OSFC is supported by a broad coalition of organizations and interests. We may represent many interests, but when it comes to getting the facts out about the promise and potential of responsible oil sands development – about the jobs it makes possible, and the footprint that continues to shrink by the day – well, that’s something every one of us can get behind. This is clearly a pro-oil development resource, which is rather vague about who is actually providing the information. Not many citations, either. In 1989, a transport tanker ship called Exxon Valdez hit the shore and spilled over 250,000 barrels of crude oil, causing the worst-ever oil spill in Alaska. This resulted in the death of 5,000 otters, 300 harbor seals, 200,000 birds of nintey different species, and hundreds of fish and other animals. Additionally, it caused a dramatic demise in multiple plant and marine species and ecosystems. Cleanup efforts of the oil spill cost Exxon around $2 billion, which is a small price to pay for an event that altered an entire ecosystem for years to come. For something that is considered necessary for the United States oil supply and economy, the resulting consequences have the potential to obliterate the Alaskan environment and change the Arctic Ocean ecosystems forever. Major oil spills such as this are one of the major concerns for extracting oil in the ANWR. Environmental Issues: Essential Primary Sources. 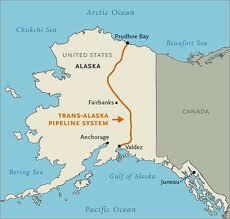 "DOI Trans-Alaska Pipeline Authorization Act." GREENR. http://find.galegroup.com/grnr/infomark.do?&source=gale&idigest=6f8f4a3faafd67e66fa023866730b0a1&prodId=GRNR&userGroupName=bucknell_it&tabID=T016&docId=CX3456400114&type=retrieve&contentSet=EBKS&version=1.0. Further reading on the updated technology and tactics used in modern day drilling, graphs and figures included. William Cunningham is an Emeritus Professor at the University of Minnesota where he taught for 36 years in the Departments of Botany and Genetics and Cell Biology as well as the Conservation Biology Program, the Institute for Social, Economic, and Ecological Sustainability, the Center for Environmental Learning and Leadership, and the McArthur Program in Global Change. He received his Ph.D. in Botany from the University of Texas in 1963 and spent two years at Purdue University as a postdoctoral fellow. At various times, he has been a visiting scholar in Sweden, Norway, Indonesia, and China, as well as several universities and research institutions in the United States. Dr. Cunningham has devoted himself to education and teaching development at the undergraduate level in biology. He began his educational career in structural biology but for the last 10-15 years has concentrated on environmental science, teaching courses such as Social Uses of Biology; Garbage, Government, and the Globe; Environmental Ethics; and Conservation History. Within the past four years, he has received both of the two highest teaching honors that the University of Minnesota bestows: The Distinguished Teaching Award and a $15,000 Amoco Alumni Award. He has served as a Faculty Mentor for younger faculty at the university, sharing the knowledge and teaching skills that he has gained during his distinguished career. Cunningham, William. "Arctic National Wildlife Refuge." Environmental Encyclopedia 1 (2011). Accessed March 26, 2017. This article claims that it would take several decades to extract the oil in the ANWR, where at its peak in 2025 would account for 3% of domestic oil consumption. The benefit of drilling in the ANWR would be to sell the oil for a total of ~$613 billion, which experts claim this number could dramatically increase. Kotchen and Burger argue that the profit could be used for funding for renewable energy technology, but also acknowledge the fact that to allow this drilling would just satisfy our addiction to oil. This provides a non-environmentalist perspective on the benefits of drilling in the ANWR. Sachs Harbour is located in the Inuvik region of the Northwest Territories, Canada and is situated on the southwestern coast of Banks Island in the Inuvialuit Settlement Region. According to the 2011 census, the population was 112 people. The principle languages spoken in the town are Inuvialuktan and English. The economy is primarily based upon hunting and trapping, but tourism also plays a small role. Residents also engage in ice fishing- harvesting fish from the Amundsen Gulf and Beaufort Sea. Banks Island is ecologically significant for being home to the largest goose colony in North America and is home to three quarters of the world’s population of muskoxen. Barren-ground caribou and polar bears are also seen on the island. On April 26, 2006, the world’s first documented wild-born grizzly-polar bear hybrid was shot near the town. The town has a Visitor Reception Centre that presents the Aulavik National Park and Inuvialuit culture to visitors to the Banks island and serves as a center for community activities. The town is of historical significance for a number of ships sent out to the Arctic Bay by the British Admiralty to find the lost expedition of James Franklin that became trapped in the ice for three years and was abandoned by its crew. One ships primary investigator and captain was Robert McClure who was able to identify the fabled North West Passage- a waterway across the top of North America that would allow passage to Asia from Banks Island. Only few have made this passage since due to icy and dangerous waters, but as the earth warms there may be a day when this passage becomes common. Sachs Harbour is in the Arctic tundra climate zone, which is characterized by long and extremely cold winters. 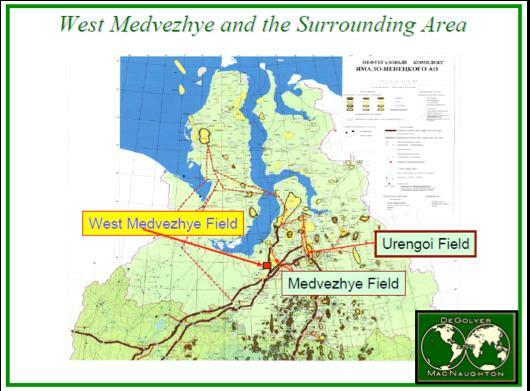 Since many of the activities of the residents in the community revolve aroundfishing hunting,and travel, many residents have considerable knowledge of weather conditions, permafrost, and erosion patterns. Because of climate changes in recent years, many local residents fear that their knowledge of weather patterns may not be as useful as the weather becomes harder to predict. Since the climate has been changing, the sea ice is breaking up earlier than usual taking seals farther south in the summer. Seals are a main food source for the town. Climate change is bringing many other changes to the island’s ecology as well; salmon appeared for the first time in nearby waters between 1999 and 2001, new species of birds are migrating- including robins and barn swallows, and more flies and mosquitos have been appearing. Additionally, there is estimated to be 4 to 12 billion barrels of commercially recoverable oil in the Beaufort Sea and between 13 and 63 trillion cubic feet of natural gas. As the climate continues to warm it will be easier to access these resources, which could potentially damage the ecology of the island if not managed properly. Citations Babaluk , John A., James D. Reist, James D. Johnson, and Lionel Johnson. " First Records of Sockeye (Oncorhynchus nerka) and Pink Salmon (O. gorbuscha) from Banks Island and Other Records of Pacific Salmon in Northwest Territories, Canada." Http://pubs.aina.ucalgary.ca. June 2000. Accessed March 9, 2017. http://pubs.aina.ucalgary.ca/arctic/Arctic53-2-161.pdf. Callow, Lin. "Oil and Gas Exploration & Development Activity Forecast." Http://www.beaufortrea.ca. March 2013. Accessed March 2017. http://www.beaufortrea.ca/wp-content/uploads/2012/03/NCR-5358624-v4-BREA_-_FINAL_UPDATE_-_EXPLORATION_AND_ACTIVITY_FORECAST-__MAY_2013.pdf. Canada, Government Of Canada Statistics. "Census Profile." Census Program. May 31, 2016. Accessed March 09, 2017. http://www12.statcan.gc.ca/census-recensement/2011/dp-pd/prof/details/page.cfm?Lang=E&Geo1=CSD&Code1=6101041&Geo2=PR&Code2=61&Data=Count&SearchText=Sachs Harbour&SearchType=Begins&SearchPR=01&B1=All&GeoLevel=PR&GeoCode=6101041&TABID=1. "Observed Climate Change Impacts in Sachs Harbour, Canada." Observed Climate Change Impacts in Sachs Harbour, Canada. Accessed March 09, 2017. http://www.greenfacts.org/en/arctic-climate-change/toolboxes/observed-climate-change-impacts.htm. The importance of fuel spills should not be underestimated, particularly if the fuel gets into water. Oil spills are potentially catastrophic events for the local environment. Published in 1977, Mr. Berger would have recently seen Alaska’s decision to reverse its ruling on drilling in the Kachemak Bay after a relatively minor spill.1 Oil spills on land, such as those from a pipeline, can be tremendously damaging and kills all currently growing tissue.2 Across water, the potential for the spill to spread is greatly increased, and any damage is exacerbated by the Arctic climate, where its slow rate of degradation would allow it to remain for as long as 50 years.3 The spills are most dangerous on the surface, where they prove especially deadly to birds, and there is concern that a spill could quickly diffuse over a large area, increasing the radiation absorbed and greatly facilitating ice melt. Given the event of a catastrophic failure, the pipeline would have the potential to leak tens of thousands of barrels, not including smaller leaks and the time necessary to detect and repair them. Furthermore, attempts to prevent the spill from reaching the water using temperate containment techniques may be more damaging than helpful due to the use of heavy equipment and the risk this poses to the permafrost.4 In 1967, the Torrey Canyon Oil Spill illustrated the dangers posed by a spill. A supertanker ran aground off the coast of England, spilling between 857,600 and 872,300 barrels of oil, contaminating 300 miles of coastline and killing 25,000 birds as well as various seals and other marine life.5 Therefore, any spill is detrimental to the environment, and if it allowed to reach water, these effects will only be compounded. Panitch, Mark. 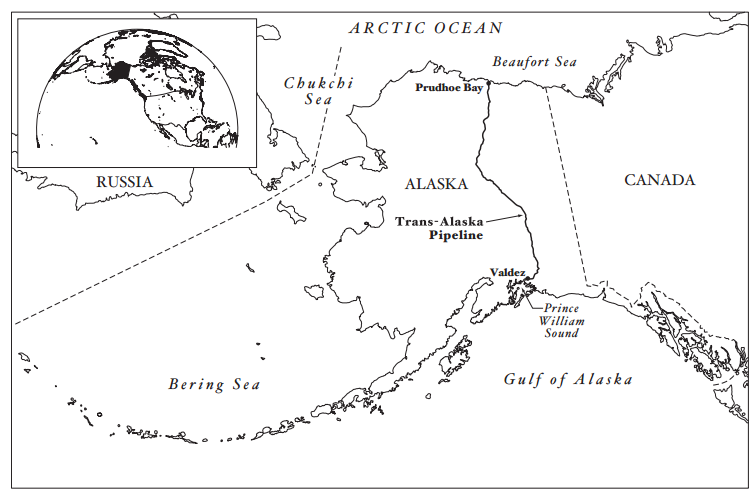 "Kachemak Bay: Oil Spill Leads Alaska to Reverse Drilling OK." Science 193, no. 4248 (1976): 131. http://www.jstor.org/stable/1743047. Wein, Ross W., and L. C. Bliss. "Experimental Crude Oil Spills on Arctic Plant Communities." Journal of Applied Ecology 10, no. 3 (1973): 671-82. doi:10.2307/2401861. Campbell, W. J., and S. Martin. "Oil and Ice in the Arctic Ocean: Possible Large-Scale Interactions." Science 181, no. 4094 (1973): 56-58. http://www.jstor.org/stable/1735934. Shelton, R. G. J. "Effects of Oil and Oil Dispersants on the Marine Environment." Proceedings of the Royal Society of London. Series B, Biological Sciences 177, no. 1048 (1971): 411-22. http://www.jstor.org/stable/75994. "Torrey Canyon." Joye Research Group. Accessed March 5, 2017. http://www.joyeresearchgroup.uga.edu/public-outreach/marine-oil-spills/other-spills/torrey-canyon. The Beaufort Sea is a division of the Atlantic Ocean in northwest Canada and northwest Alaska. It is where the Mackenzie River empties into the Canadian side of the sea. This area of the Arctic is known to be a major source of oil and petroleum. It has been the target of pipeline and drilling projects both in the past and presently. Not much has changed for the Beaufort Sea when it comes to oil extraction. Recently, new oil and gas drilling has been suspended for the next five years in the Beaufort Sea in order for the US and Canada to evaluate the environmental impacts drilling would have on the area. In the 1970’s when this article was written, the same caution was taken by both governments in order to understand the impacts that the pipeline would have on the area and it’s inhabitants. Currently, although the Beaufort Sea is a major reserve for gas and petroleum, it is still dangerous to drill. The landscape of the arctic is much different of that in the Gulf of Mexico, making it more difficult and more dangerous to drill. Even after three decades, this area is still facing the same challenges with its reserves. Here, Maurice Strong states what was a shocking fact. The world was rapidly using more and more energy every year and it seemed that development of Arctic oil was the only answer to the growing demand. In 1976 the United States used 15.5 quadrillion Btu (Ramsey). That is more than many developed nations use today, however, in that time we were the leading consumers of energy. In contrast to those numbers, in 2014, China alone used 119.5 quadrillion Btu and the United States trailed, consuming 98.3 quadrillion Btu. For the United States, that is over six times as much energy as we were using 1976. A Btu or “British thermal unit is a measure of the heat content of fuels. It is the quantity of heat required to raise the temperature of 1 pound of liquid water by 1 degree Fahrenheit at the temperature that water has its greatest density (approximately 39 degrees F)” (Ramsey). These numbers have drastically increased worldwide and a pipeline through North American is still part of the equation and is largely controversial. As the world becomes more consumer oriented, we need more energy and if we are able to safely and cleanly transport it, we will still depend on oil. Ramsey, William J. U.S. ENERGY FLOW IN 1976 . Report no. 17443. United States Energy Research & Development Administration. 1977. The Canadian government established Petro-Canada as a state owned Crown Corporation to manage oil resources in the country. This decision was aided by a variety of international pressures, mainly the OPEC (Organization of Petroleum Exporting Countries) embargo in which the oil rich Middle Eastern countries prohibited the sale of oil to the U.S., Canada, U.K., Netherlands, and Japan due to U.S. support of Israel during the 1973 Yom Kippur war. This oil embargo sparked a world shortage which spiked prices and caused Canada to look at moving towards more domestic sources of oil independence. With a new government, under the leadership of Trudeau, they adopted a more nationalist focus to their energy independence emphasizing the importance of Canadian industry. The Canadian government looked to reduce the influence of U.S. multinational oil companies in their own abundant oil fields in Alberta. Additionally, as a Crown Corporation, Petro-Canada was tasked to perform many tasks that wouldn’t be expected of privately owned companies. For example, the Canadian Government expected that Petro-Canada would explore the frontier for various, harder to access, resources like tar sands, heavy oil, or areas that would be difficult to develop transport chains. This charge from the state made it so Petro-Canada was more invested than private companies in exploring difficult to reach areas like the Mackenzie Delta in the mid 1970’s. The duties of the Crown Corporation were beyond simply providing energy for the nation, but also ensuring a sustainable future of energy independence. Annotation drawn from Fossum, John Erik. Oil, the State, and Federalism: The Rise and Demise of Petro-Canada as a Statist Impulse. Vol. 2. University of Toronto Press, 1997. President Obama's plan to restrict drilling in the Arctic has hit a nerve in Alaska. "Our fiscal situation is that we’re in a $3.5 billion deficit this year. You know, over half the conservation land in America is in Alaska, so we have more set aside in Alaska than the entire rest of the country combined, and we’re trying to make a living here, we’re trying to live here, we’re trying to have an economy here, and we’re doing it environmentally responsibly. "I’m not going to allow geopolitics to be resolved on the backs of Alaskans. It’s an area that we certainly want to protect, we will protect, but my goodness, you know, the area we want to explore is equivalent to a quarter, a 25 cent piece, on a football field. All the arguments that I’m hearing now are identical to arguments I heard then, it just hasn't proved out to be the case. President Obama’s proposal to open vast expanses of American coastlines to oil and natural gas drilling drew criticism from both sides in the drilling debate. Interior Secretary Ken Salazar developed the offshore drilling plan after conducting four public meetings over the past year in Alaska, California, Louisiana and New Jersey. The Interior Department received more than 500,000 public comments on the issue. Mr. Salazar has said that he hoped to rebalance the nation’s oil and gas policy to find a middle ground between the “drill here drill now” advocacy of many oil industry advocates and the preservationist impulse to block oil exploration beneath virtually all public lands and waters. He has called the offshore drilling plan a new chapter in the nation’s search for a comprehensive energy policy that can open new areas to oil and gas development “in the right way and in the right places,” according to an aide. The eastern Gulf area is believed to contain as much as 3.5 billion barrels of oil and 17 trillion cubic feet of gas, the richest single tract that would be open to drilling under the Obama plan. Mr. Obama said several times during his presidential campaign that he supported expanded offshore drilling. Mr. Obama’s proposal would put Bristol Bay, home to major Alaskan commercial fisheries and populations of endangered whales, off limits to oil rigs. The environmentally sensitive Bristol Bay in southwestern Alaska would be protected and no drilling would be allowed under the plan, officials said. The Obama administration is proposing new protections for large portions of the Arctic National Wildlife Refuge (ANWR). For lower-income Alaskans and those living in high-cost rural areas, the dividend can be an important source of income. “that we need to do something and we need to do something major.” What that ends up being remains unclear. The major debate at this point appears to be around using earnings from the Alaska Permanent Fund, what tax bills to pass, if any, and how far to push changes to oil taxes and credits. Bills to reinstitute a personal state income tax for the first time since 1980 and proposals from Mr. Walker to raise taxes on motor fuels and on various industries, including oil, fishing and mining. The governor has warned that legislators could face a special session if they do not come up with a fiscal plan before the regular session ends on April 17. Gunnar Knapp, an economics professor, has told lawmakers that Alaska is probably facing a recession and that the economy will take a hit no matter what they do. state political leaders are struggling to get on the same page, with legislators split on options like taxes, the depth of budget cuts and tinkering with the annual dividend most Alaskans receive for living here. 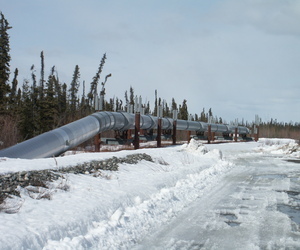 The collapse in oil prices has left oil-reliant Alaska with a multibillion-dollar budget deficit and few palatable options for digging its way out. "Bush doesn't care about Black people," made clear the neglect that we felt immediately, but it was only later the I became aware of the years of incompetence and broken systems that led to the storm surge doing so much damage. Immediately -- and for me to this day -- New Orleans was a symbol of carbon corporate power. Where is BP in this sentence in the Times? You won't get sick immediately from eating old cooking oil, but having oil that has been sitting around for a while means the oil has very likely gone rancid.